Jens Schlichting is born in 1966. He studied music pedagogy and piano performance with Prof. Paul Dan (Mannheim) as well as Jazz and Popular music. Masterclasses by Paul Badura-Skoda, Vera Gornostaeva, Peter Feuchtwanger, Alan Fraser and others added important impulses to his artistic work. 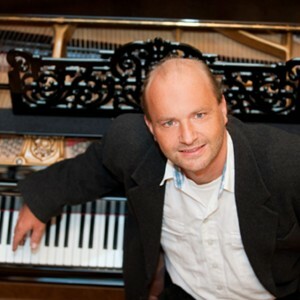 Indeed, Jens Schlichting is also known as an improvisor in all genres from traditional classical music to modern styles. He performed live-improvisations to a great number of silent movies, such as Metropolis, Nosferatu, Wagner, Orlac’s hands and many others, in Germany and in many european countries. He is also active as a composer and arranger, and works as such for the theater of the City of Heidelberg. A number of CDs and radio broadcasts, from classical music to Jazz and own compositions, are documenting the variety of his artistic profile. Some of his works are already published by international music publishers like Schott and Dowani. Jens Schlichting has taught for many years at the university of music in Mannheim, and maintains his own music institution for private students. He runs successfully music workshops, from beginner’s courses to masterclasses, in Germany, Switzerland, Austria and Italy. 4nufOZ Really informative blog.Really looking forward to read more. Much obliged.